← Pretty Sweet Chicago Premiere!!! 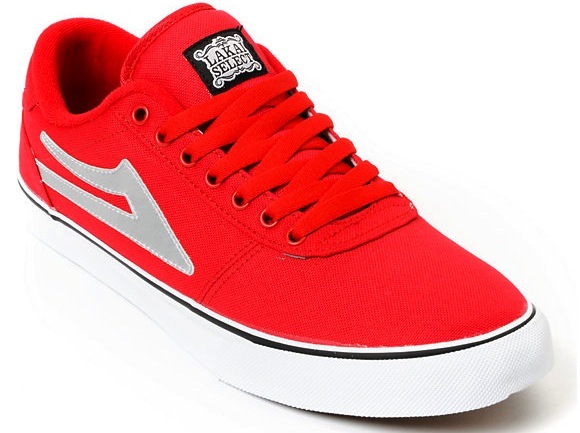 Lakai Manchester are available in TWO Vegan colorways! They also happen to come in the colors that mysteriously look like a certain video you may have caught a sneak peak of this past week. All Canvas upper with a solid toecap and discreet stitching, this shoe is slim but perfectly suited for ripping! Just enough padding on the tongue and collar to make the shoe feel snug. Sweet silver Lakai logo made of Polyurethane. The herringbone tread on the vulcanized soles give a great board feel and long lasting wear. If you want to be a real skate-nerd I’d suggest getting a pair in each color and rocking them till all fall to pieces. Even better, get a friend who rides opposite stance, (goofy to your regular) go in on four pairs, and well you get the idea. I just got home from the Chicago Premiere. A HUGE shout out to Junebug for getting me a an extra ticket to this sold out (free) screening. With out giving away any spoilers, Elijah Berle killed it and had the raddest music to his part. EMA’s “California” in the opening credits gave me F’ing goosebumps. Closing credits, goosebumps. Instant classic.